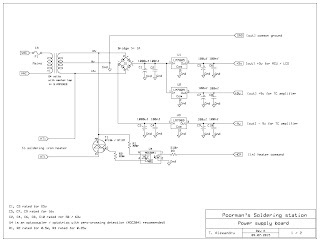 I have managed to finish drawing the schematics for the soldering station. 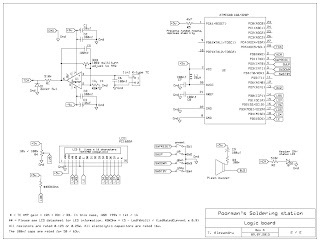 The circuit diagram has 2 parts, one is the power board and the other is the logic board. Most 16 x 2 LCDs sold today have a LED backlight which must be powered by the user. The problem is that they are produced by hundreds of manufacturers. 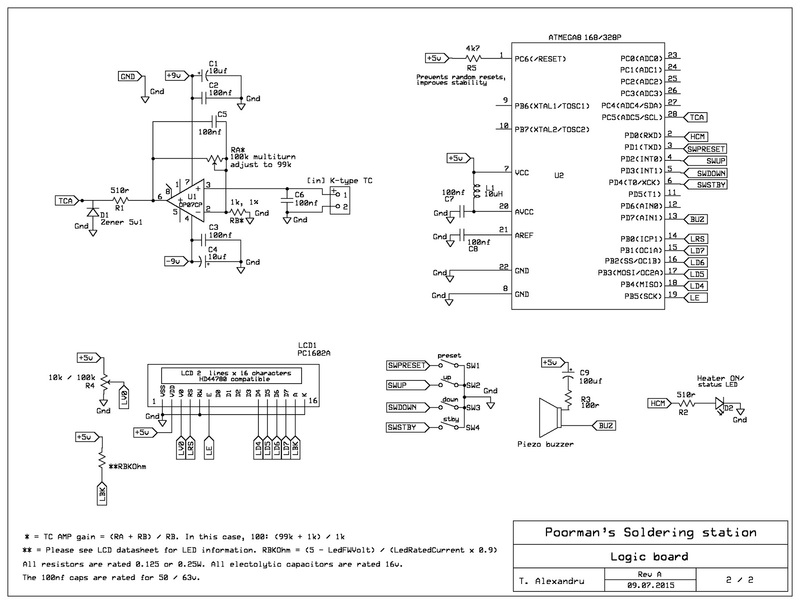 For example, the screen I bought (PC1602A) has a forward voltage of 4.2 volts and a maximum forward current of 195 mA according to its datasheet. Replacing the numbers in the formula gives us (5 - 4.2) / (0.195 x 0.8) which is equal to 5.1 ohms (a standard resistor value, otherwise rounding to the nearest value would be necessary). 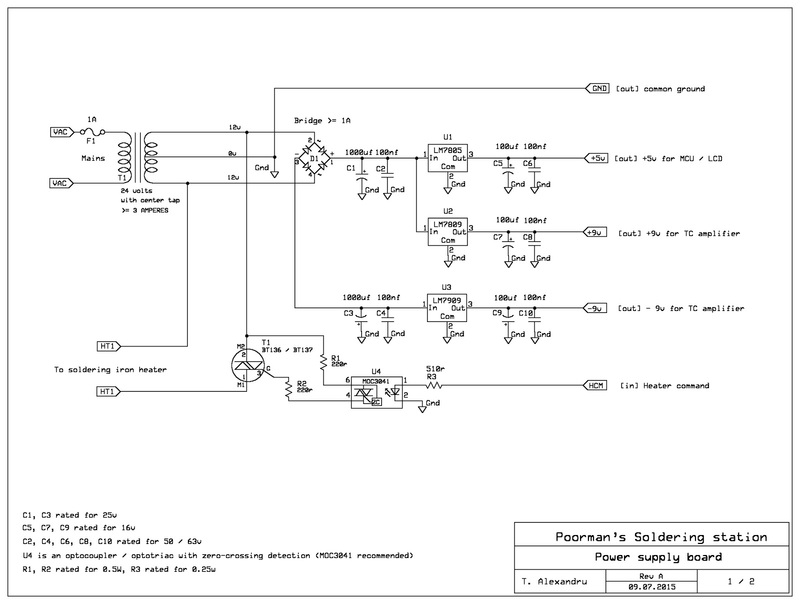 Instead of this simple way of powering the backlight, PWM could be employed, but that would just add complexity and no real benefit. In conclusion, everything looks good (at least on paper). The voltage regulators don't get hot at all, neither does the triac. Generally speaking, the circuit is stable. I'll keep testing it and if everything is OK, a PCB will be created and presented in the next post. HYE, can i know what is the function of the both variable resistor? Hi. RA is for getting 99 kilo ohm with higher accuracy. This is used for the thermocouple amplifier, to get 100 gain. The formula is: (RA + RB) / RB which equals to 99k + 1k / 1k which results in gain 100. R4 is used for setting the contrast for the LCD screen.